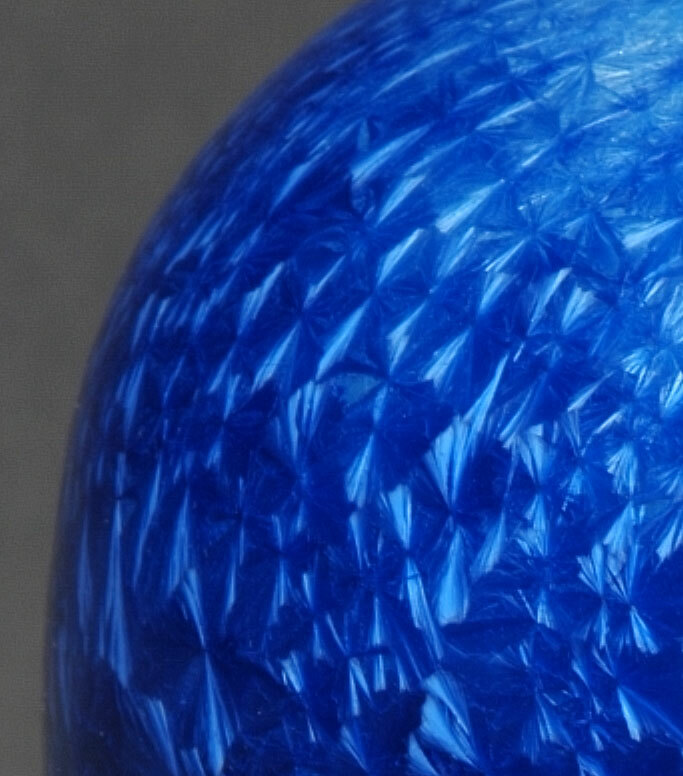 A cobalt blue vase with an overlay of blue crystals which feather to powder blue at the hexagonal lip. Davis, Jerry Jerry Davis began making pottery when he was a junior at Vandalia Butler High School. His teacher, Ken Smith, noted his innate ability and nurtured his talent. 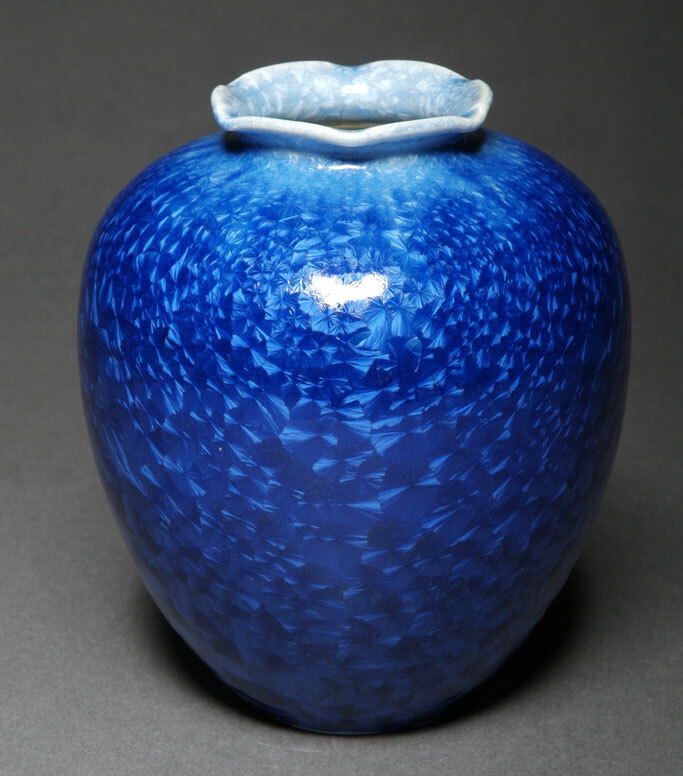 In 1970 Jerry won his first award, a $500 scholarship for “Best of Show” in the Midwest Ceramic Association Show. 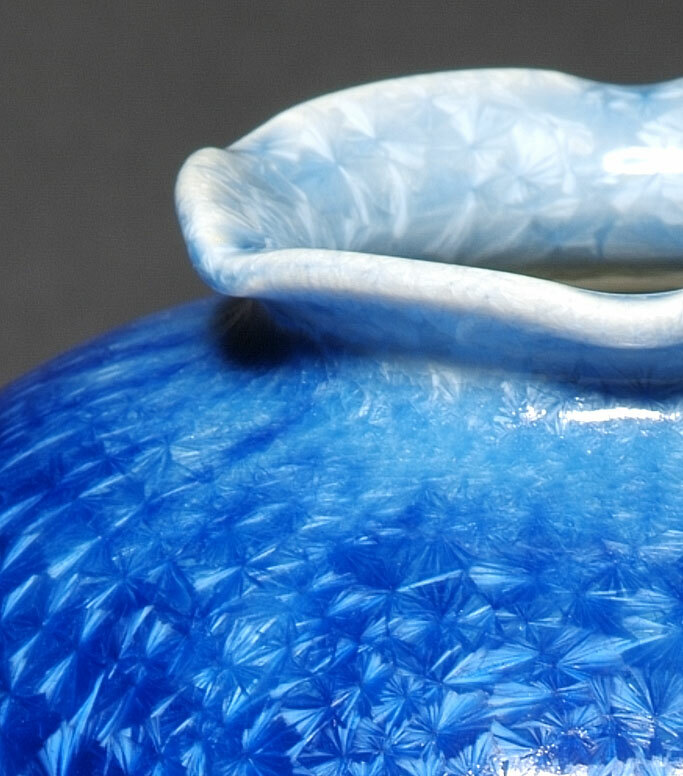 Shipping Discount: $8 shipping charge per item on all pottery and glass! Choose USPS - Priority as shipping method at Checkout. Usually takes 4-7 business days to receive from the time the order is placed.